This stadium has become talk of the town and subject of mockery long before the World Cup. While we see the criticism as largely undeserved, it's no secret that there has never been a stadium quite like this one. It uses solutions known very well from other mega-event stadiums (to name just Kobe and Sydney), but it's indeed the only stadium to see additional seats being placed outside rather than within the venue. Soon this will change. 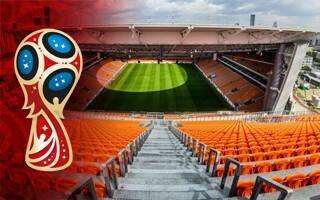 The Sverdlovsk region authorities have already launched the tender for dismantling of the stands. Once the works are done, capacity will fall by some 10,000 seats. The operation is expected to cost RUB 942,000, which is a very modest amount, roughly $15,000. Should the tender succeed, deconstruction may begin in July and end before November 20. It shouldn't obstruct league games of FK Ural, precisely because the additional stands are not within the seating bowl. It should be noted, however, that the dismantling price does not include utilisation of the temporary structures. As of now we do not know how or if the steel structure and orange seats would be used in the future. While the downsizing operation isn't a major burden financially, it's only the first step. 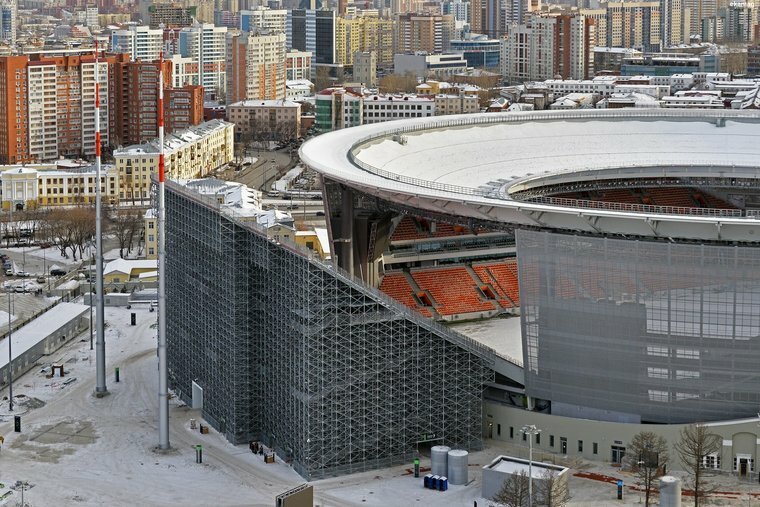 In total some RUB 500 million ($8 million) is expected to be spent in order to future-prove the stadium, largely to be spent on enclosing of the stadium outer wrap, which is a LED media facade as well. Annual maintenance cost also isn't looking too well for authorities and taxpayers. The stadium, owned in 95% by the Russian government (and in 5% by Sverdlovsk) will be quite expensive to operate. Federal estimates, based on a series of 16 domestic fixtures in the calendar, suggest the following spending in first three years of operation: RUB 337.5 million in 2019 ($5.37m), 352.5 million in 2020 ($5.61m) and 366.7m in 2021 ($5.84m) in running cost. With capacity reduced to just 23,000 and ticket prices for league games as low as RUB 100-500 ($1.6 - $8), it's hard to imagine making an operational profit. Even the lease of skyboxes at RUB 70,000 per game ($1,115) won't make the much needed difference when the cheapest season ticket is just RUB 250 ($4).